Following up on the last blog about cleaner fish, I wanted to share something cool I caught on film recently. 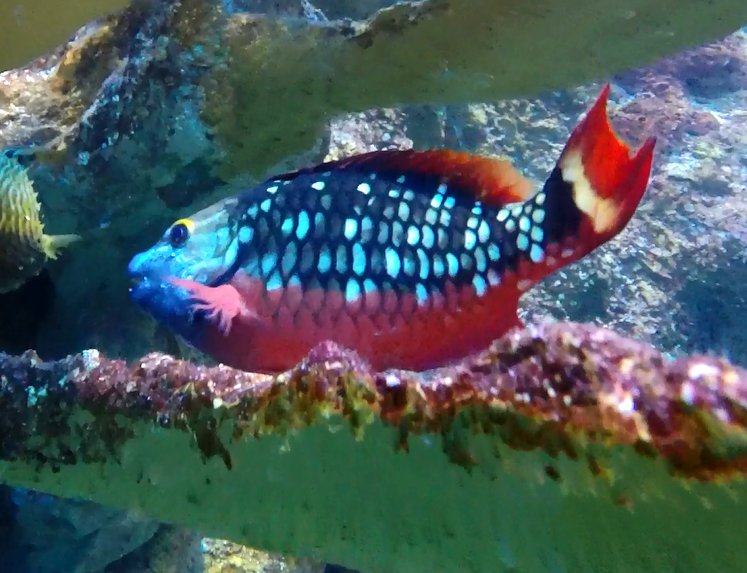 I witnessed a stoplight parrotfish and a... well, just watch this video! The cleaner is a spanish hogfish, known for removing parasites and debris from larger fishes. The cleanee—her patient—is a stoplight parrotfish, a fish that we've been keeping an eye on for a few weeks because of discoloration around its mouth. But it's still healthy and behaving normally, and we'll continue to monitor it for any changes. This is the only stoplight in its juvenile/initial phase in the Giant Ocean Tank. Stay tuned for more on parrotfish phases!